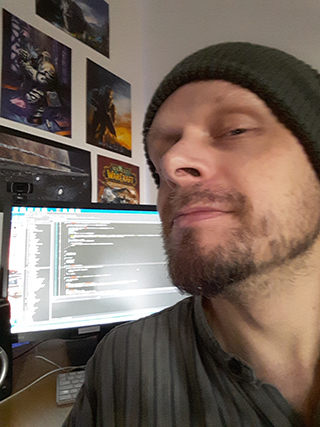 In October of 2004 I was recruited by DICE in Stockholm for the role of Programming Development / Technical Director. This involved leading the programming effort on a next-generation game project for PC / XBox 360 / Playstation 3. However, I soon found that my own experience and views on game development were incompatible with those of DICE as a company (this was during the corporate takeover by Electronic Arts), and I chose to leave the company in May of 2005. During the remainder of 2005 I indulged in my another personal passion, namely music. I started the band UP which played various venues in and around the Gothenburg area with good success.